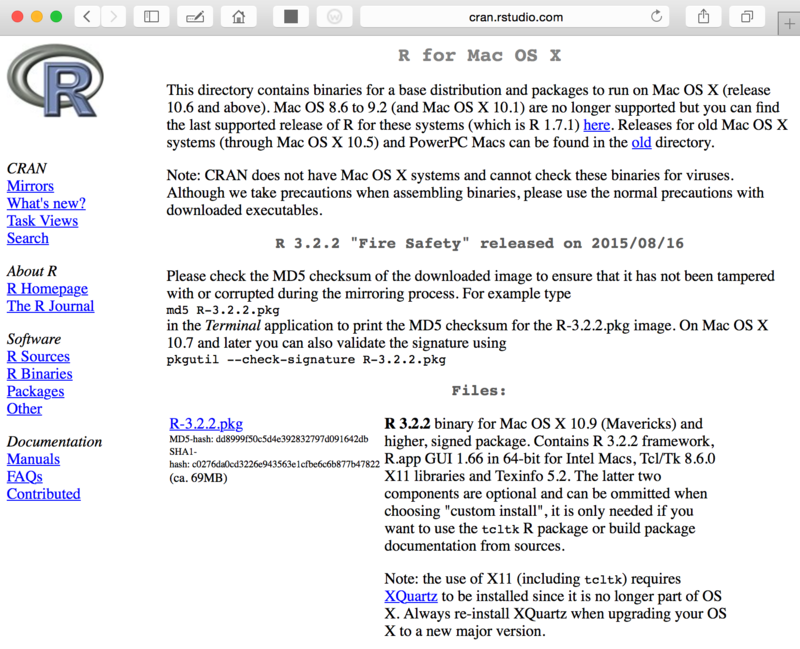 The following steps may be used to install R on a Macintosh operating system. See these directions for installing R on a Windows operating system. 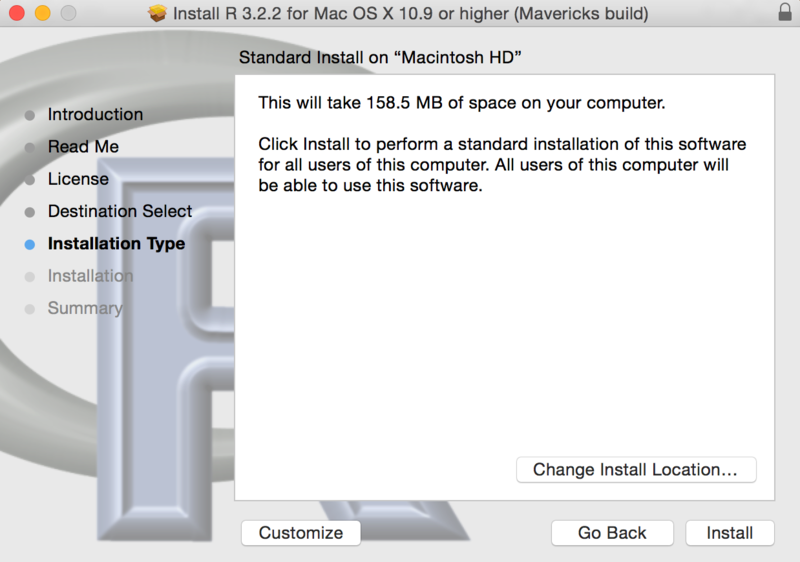 Select the “Download R for (Mac) OS X” link. Locate the downloaded package on your computer (called “R-3.2.2.pkg” or similar if the version number has changed) and run it. 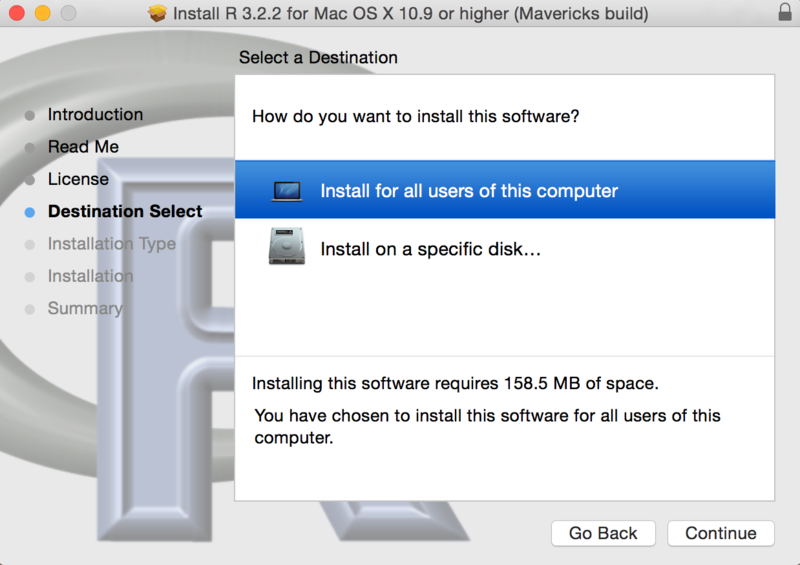 Select Continue in the first three dialog boxes (first, an installer description; second, a simple software description; third, a user agreement). 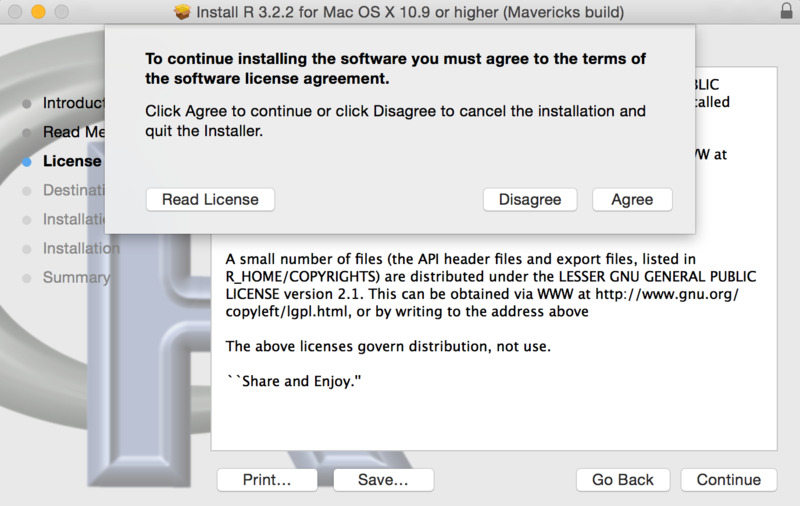 Select Agree to accept the terms of the software license agreement. 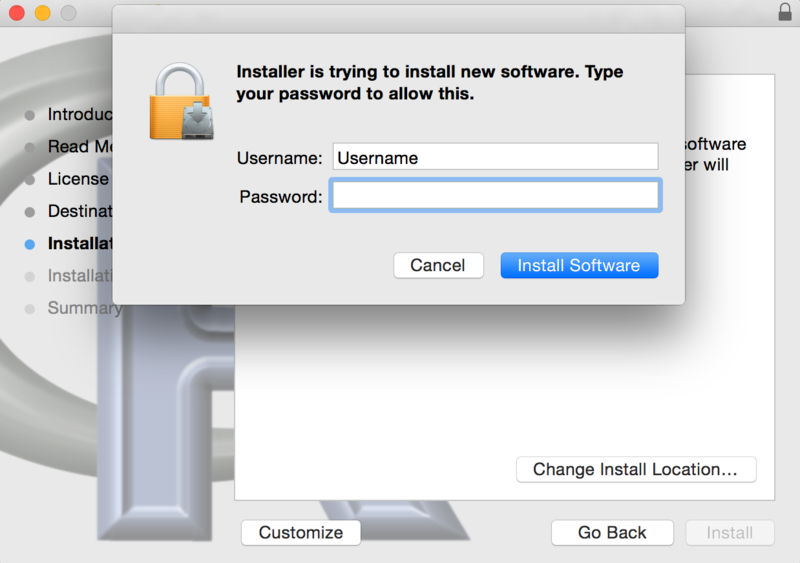 A dialog box will prompt you for the password to your user account. Input your password and press Install Software. R should then begin installing files. 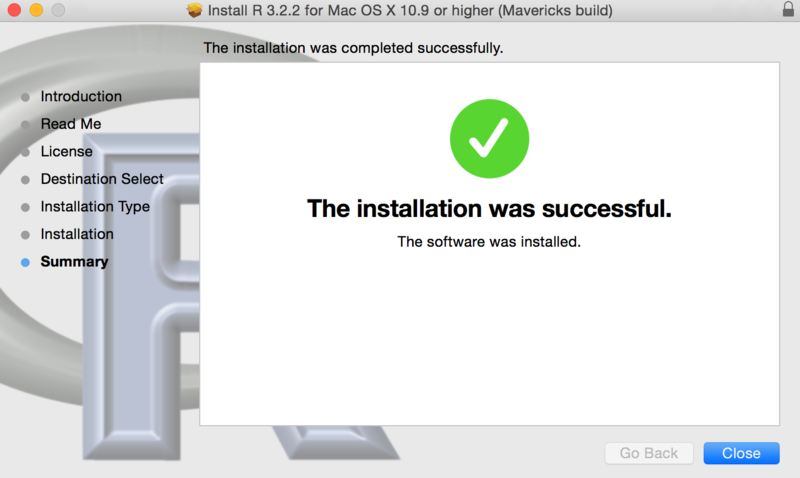 If everything goes well, then you should get one last dialog box noting such. Press Close. If you plan to use RStudio, then you can now install it with these directions. Thanks to Taylor Stewart for help with these directions.